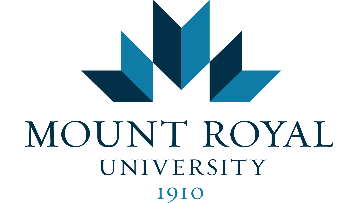 Founded in 1910 and located in Calgary, Alberta, Canada, Mount Royal University grew into a vibrant college in the 1930s and became a mid-sized university in 2009. Mount Royal has carved out a distinct niche by offering smaller class sizes, a robust liberal education and unique undergraduate programs. Currently, nearly 14,000 credit students choose from 12 bachelor degrees and 32 majors. A leader in innovative teaching strategies and outstanding practical instruction, Mount Royal University’s School of Nursing and Midwifery prepares students to make a difference in the health and well-being of Canadians. The School of Nursing and Midwifery offers the following programs: Bachelor of Nursing, Bachelor of Midwifery, the Bridge to Canadian Nursing and the Advanced Studies in Critical Care Nursing Certificate. The Director, reporting to the Dean, Faculty of Health, Community and Education, leads the School of Nursing and Midwifery. The Director is a University officer providing strategic and operational support to the School of Nursing and Midwifery in matters internal and external to the university. The Director serves on relevant department, university and community committees and as an alternate for the Dean in matters pertaining to health, midwifery and nursing where appropriate. Together with the Dean and Associate Deans, the Director, School of Nursing and Midwifery provides leadership and direction with partnerships and collaborative initiatives that involve the community, professional associations, agencies, and other post-secondary institutions. The Director is responsible to the Dean for the administration of the School of Nursing and Midwifery in matters related to: program and curriculum and evaluation, human resources, facility resources, budget and financial planning, program accreditation, and liaison activities, internal and external to the university. Develops and implements short-term and long-term strategic plans for sustainability of four programs that is consistent with the missions, vision and values of Mount Royal University. Exercises leadership in the development and maintenance of new programs and/or program expansion. Establishes and maintains an effective organizational structure so as to accomplish the School’s objectives; ensures professional development of nursing faculty and staff to ensure strong succession planning and to increase the capacity of the School in teaching, scholarship and service. Prepares and submits self-study and other reports and conduct related activities as needed to support the accreditation, licensing and compliance processes and provincial nursing and midwifery requirements. Responsible for institution licensing and compliance under the direction of and in coordination with the Dean, FHCE, to ensure that compliance and licensing issues pertaining to the programs are addressed appropriately and on a timely basis. Assumes responsibility for faculty and staff orientation to accreditation processes. Provides guidance, advice and coaching for new and existing faculty regarding accreditation processes. Monitors student success including, student persistence, graduation rates, first time NCLEX-RN pass rates and student satisfaction and is accountable for the development of action plans to address any areas not meeting Mount Royal’s standards. Provides sound business, managerial and financial guidance to subordinates in the conduct of their duties as well as facilitating effective communication on a daily basis so as to reinforce teamwork and information sharing. Ensures compliance with all regulatory and statutory regulations; amends existing procedures as needed. Ensures that both faculty and staff are hired with the appropriate credentials, knowledge, skill, and experience to meet the needs of the programs. Ensures quality of instruction through periodic evaluations and audits on how effectively programs are meeting established objectives. Ensures the quality of scholarly activities and research through working closely with the Associate Dean - Research, Scholarship and Community Engagement and the annual reporting process. Represents the School, on select government, health region, professional regulatory, professional association committees or bodies. (Alberta Nursing Education Administrators’ (ANEA), Canadian Association of Schools of Nursing (CASN), College and Association of Registered Nurses of Alberta (CARNA), Nursing Education Program Approval Board (NEPAB), Health Workforce Planning, Canadian Association of Midwives (CAM), Alberta Association of Midwives (AAM), College of Midwives of Alberta (CMA) and Alberta Health Services (AHS) etc as determined by the Dean. Where appropriate and in collaboration with the Dean and associate Deans develops partnerships with other agencies or organizations.